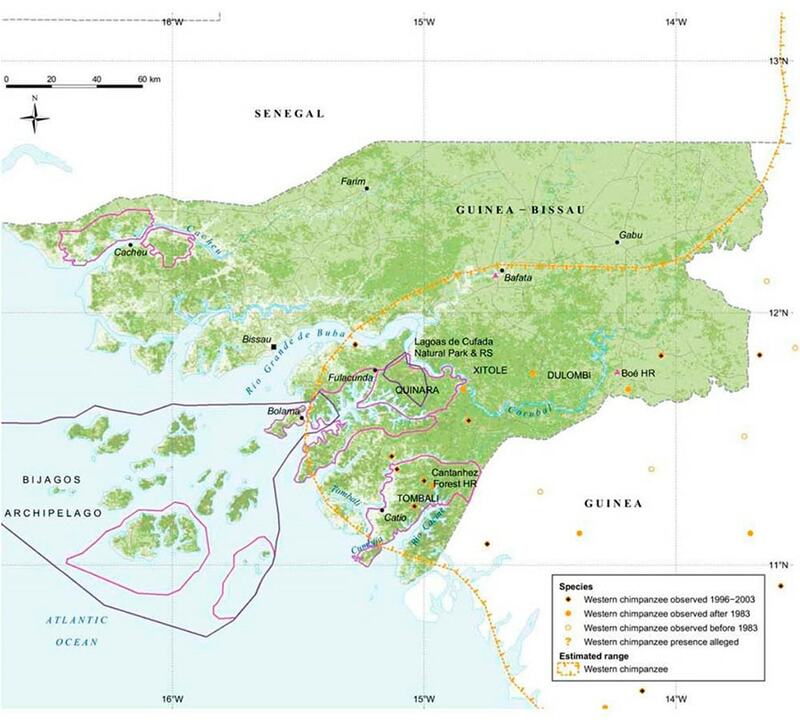 Very few wild chimpanzees remain in Guinea-Bissau. Small populations can be found in the areas of Xitole, Lagoas de Cufada National Park, the Cantanhez Forest, the Cacine Basin and near the north bank of Rio Grande de Buba. Deforestation is a major threat to chimpanzees in Guinea-Bissau. Chimpanzees are also kept as pets or hunted for their skin, which is believed to possess medicinal properties.